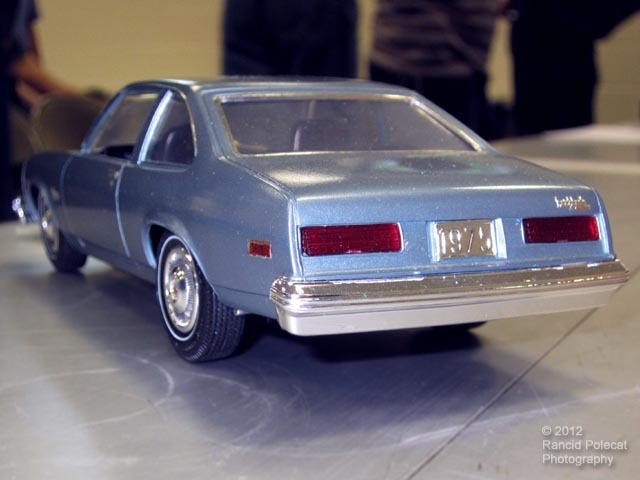 The MPC 1975 Pontiac Sprint model by MPC, kit # 1-7503, was a typical "3-in-1" kit that could be built in Stock, Custom, or Drag configurations. It included a variety of options including side pipes, fender skirts, stylized "G.T.O." graphics, Mickey Thompson cheater slicks, and a Buick V-8 engine. Interestingly there is no stock Ventura Sprint hood, only the unit with the hole for the scoop.